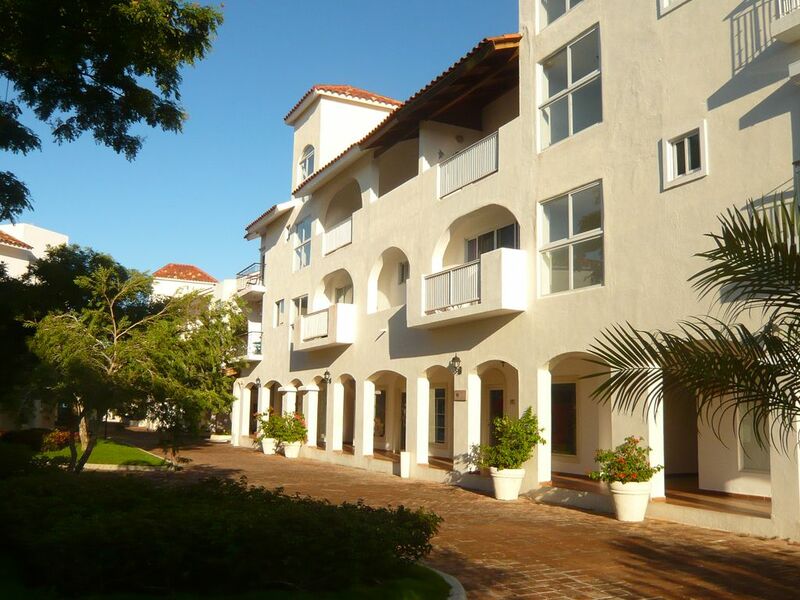 The Tenerife 35 apartment is located inside the Cadaques Caribe private club in Bayahibe Dominicus. It consists of an Studio of 43 square meters, a King size bed and a sofa bed that has the option of 2 single beds. Suitable for a maximum occupancy of 4 people. A kitchen equipped with electric stove for 2 pots. fridge , microwave, American coffee machine, full service of dishes, glasses and cutlery for 4 people. Wifi accessible throughout the property . Interner for a fee payable to the complex. The Cadaques Caribe Bayahibe is a structure surrounded by nature and characterized by architecture inspired by the Mediterranean style, expertly integrated into the surrounding typically tropical context. This is a class residential complex accessible only to owners and guests. Ideal for families and couples who want a relaxing holiday without the crowds of all-inclusive resorts. The sparkling turquoise waters of the sea remind you that you are in one of the most spectacular beaches on the southeast coast. The guest has free choice to position himself on a sunbed on the beach dotted with palm trees or directly to enjoy the breeze and enter directly into the natural aquarium of the warm Caribbean Sea, while children and adults play beach soccer or beach volleyball in the appropriate fields beach. At guests disposal there are also 3 swimming pools: one with an elaborate water park right at the entrance of the village that enchants children with slides and waterfalls, the tower and the sea creatures that splash; , a second wide with a suggestive bridge and bar and a third one next to the restaurant; a modern SPA (for a fee), restaurant with a la carte options or buffet or pizzeria, a restaurant with Mexican cuisine and a bar near the beach open until late at night; a Catholic church, a mimimarket and various boutiques. There is also the possibility to practice water sports such as scuba, water skiing, snorkeling, sailing, fishing and much more. Non-smoking apartment. Absolutely no smoking allowed inside the apartment. Warranty. Upon check in you will be given a list with an inventory of what is in the apartment and you will be asked to sign a credit card agreement to guarantee any damage caused or missing in the apartment. The paid services of the complex are excluded as Internet , SPA, Restaurants and Bars, excursions and more. The Parque Nacional del Este is bordering the structure, you can visit on foot or better in the saddle of a horse. Nature lovers will find lagoons, flora and fauna, with an incredible amount of birds. Kviar Show Disco & Casino Bayahibe is 2.5 Km away and offers a free shuttle. Also the entry is gratutia. The American Dominicus is right after. This is a district that outside the various beach resorts has a nice pedestrian area, shops, pharmacies, medical center, supermarket and lots of good quality restaurants and bars. In some evenings bars offer live music with dance and karaoke option. Village of Bayahibe: 5 minutes, 10 Km. Bayahibe is a fishing village overlooking the Caribbean Sea, surrounded by coconut palm groves and dense tropical vegetation. Bayahibe is undoubtedly one of the most popular tourist destinations in the world . Its beaches are considered among the most beautiful in the world. Its secret, in addition to the geographical location in one of the most heavenly areas of the earth, is in the fact that Bayahibe is a seaside destination that has managed to maintain a sustainable balance between the tourism business and the traditional activities of the local population (fishing), offering pristine landscapes and a high quality of services. Here are many restaurants and nightlife bar options For those who are not satisfied with the beautiful beaches of the Bayahibe coast, the local facilities offer the possibility to reach two islands offering panoramas equally extraordinary:. From its small pier the lances go straight to the "Parque Nacional del Este", to the Isla Saona and Isla Catalina. Golfers : Plenty of options where to play. The closest golf course is La Estancia Golf Course (15 minutes), and then you have SIX golf courses inside of Casa de Campo, including "Theeth of the Dog" the most famous in the Caribbean, and according to Golf Digest Magazine its 5th hole its the best in the world! And many other trips and adventure can be found among the offers proposed in the complex of Cadaques or along the pedestrian of Dominicus.